Tickets for Madame Tussauds NYC New Years Eve 2020 are currently not on sale. Mingle with your favorite celebrities at Madame Tussauds New York! The 85,000 square foot, multi-level attraction is hosting a night of fun and cocktails. 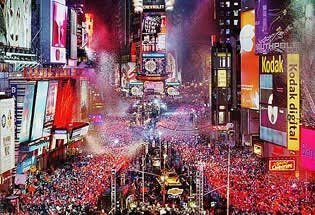 Only half a block from the legendary Ball Drop, you can celebrate above the crowds in Times Square with over 200 life-sized wax figures. 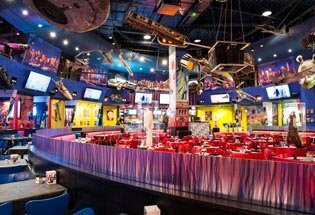 Enjoy several themed experiences including the Marvel Superhero Experience, A-List Party Room, Music Zone and more make Madame Tussauds perfect for all ages. Enjoy the DJ spinning live throughout the night or try out the 4D Cinema, where you can enjoy 3D technology enhanced with special effects including wind, snow, mist and scent. For adults 21 and over, check out the a premium open bar. 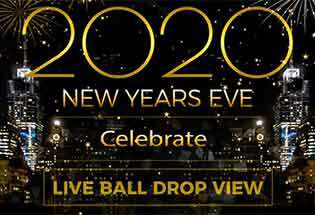 Ball Drop offers Family Packages offering VIP treatment with private tables behind the red ropes, & bottle service (optional). But the premium experience is with the Inside View package: View the Ball Drop LIVE from Madame Tussauds' Viewing Gallery! 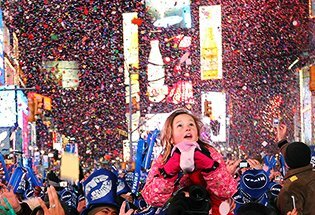 Enjoy the action from a roped off second level area looking out onto 42nd Street from the west side of the Ball, for a New Year’s Eve celebration like no other! Due to high demand and limited space the number of VIP Table Packages are limited, so if you'd like to feel like a "star", don't wait long, purchase your experience now!